Joseph T. Spaniola (b. May 7, 1963) is a composer on a passionate quest to engage the hearts and minds of audiences and performers through the communicative powers of music. Dr. Spaniola has composed works for orchestra, band, chamber ensembles, solo instruments, voice, choir, and electronic tape. The composer is active as an arranger, a clinician, adjudicator, guest lecturer, and periodically composes, orchestrates and arranges for commercial music projects (trade shows, industrial videos, documentary films, etc.). Spaniola’s ESCAPADE was the winner of the 2001 National Band Association/William D. Revelli Memorial Composition Competition. Additional information regarding the composer is available at www.josephspaniola.com. In 2007 Dr. Spaniola joined the faculty of the University of West Florida as Assistant Professor and Director of Jazz Studies and Music Theory. Prior to that he served as the Chief Composer/Arranger for the United States Air Force Academy Band (Colorado Springs, CO). He received his Doctor of Musical Arts in Composition from the University of North Texas where he studied composition with Cindy McTee. At UNT he also studied composition with Larry Austin and jazz composition/arranging with Paris Rutherford. He received his Master of Music in Composition, and his Bachelor of Music in Theory and Composition from Michigan State University where he studied composition with Jere Hutcheson, Charles Ruggiero and James Niblock. He also studied composition with Sam Headrick at Boston University. The composer is active as a clinician, adjudicator and guest lecturer. He has lectured at Boston University, Berklee College of Music and Michigan State University. Dr. Spaniola was a featured composer, conductor and lecturer at the Royal Conservatory’s 1998 Wind Symposium (Gent, Belgium). He offers private Composition/Theory and Low Brass instruction and has been a staff member of the Great Lake Music Camp at Valparaiso University. Dr. Spaniola is the former Chairman of the Composers Forum at UNT, a member of Phi Mu Alpha Sinfonia, Pi Kappa Lambda, BMI, the College Music Society and a former member of Wisconsin School Music Association. He is a founding member and the past executive director of the ALL THE ARTS Festival (music, dance, theater, poetry, film, story telling, visual art and multi media works) in Denton, Texas. Dr. Spaniola was the recipient of the 1995 Rockford Area Music Industry (RAMI) Award for Best Classical Composer. Dr. Spaniola is also active as an arranger. The Detroit Symphony Orchestra, the Elgin Symphony Orchestra, and the Detroit Symphony Orchestra Brass Quintet are a few examples of the organizations who have enlisted his services. He has arranged music for trombonist Bill Watrous, Broadway and television performer, Constance Towers and Rock Guitarist/Songwriter Rick Nielsen (of Cheap Trick). 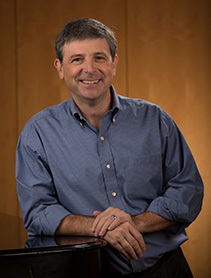 He has arranged for the Michigan State University, the University of Arizona, the University of North Texas and other institutions across the United States and Japan. Periodically, Dr. Spaniola composes, orchestrates and arranges for commercial music projects (trade shows, industrial videos, documentary films, etc.) for corporations and organizations like Buick, Du Pont, and the White House Historical Association. He was the Composer/Arranger for the 1997 Lone Star Film and Television Awards (Dallas, TX) and was a member of the music team for the Chrysler Corporation’s 1993 World Wide Automotive Announcement Show in Las Vegas which featured performances by Frank Sinatra, Kenny Rogers, Wayne Newton, The McGuire Sisters and Vic Damone. Dr. Spaniola has composed works for orchestra, band, chamber ensembles, solo instruments, voice, choir, and electronic tape. His more recent works include: Awakening (2002) for trumpet and organ; Restless Heart (2002) for classical guitar, New Horizons (2001) for Band, Perpetual Providence (2001) for trombone, tuba and piano, Klempirik Farms (2001) for clarinet quartet, ESCAPADE (2001) for wind ensemble, which won the 2001 NBA/William Revelli Memorial Band Composition Contest; Rendezvous with a Dream (2000) for bass clarinet and piano; Thomas Jefferson: Life Lines (2000) for chamber orchestra and voices; Sweet Light’s Reflection (1999) for clarinet choir and Rocky Mountain Rising (1999) for clarinet choir-both works were commissioned by the Belgian group, Claribel and premiered at ClarinetFest 1999 (Ostend, Belgium); Tides of Change (1998) for youth orchestra; Crossroads (1997) for trombone and trombone quintet which was performed by Joseph Alessi and the Juilliard Trombone Ensemble at the 27th International Trombone Festival (Boulder, CO); A Rainbow Around the Moon (1996) for trombone octet; To See (1996) for woodwinds, voices and piano; Tomorrow’s Calling (1995) for wind ensemble, commissioned for the 125th Anniversary of Michigan State University Bands (East Lansing, MI) and the winner of the 1996 Sigma Alpha Iota Composition Competition; Music for Bassoon and Orchestra (1995), commissioned by the Rockford Symphony Orchestra in honor of its 60th season; and Zenith Rising (1995), commissioned by the George Washington University (Washington, DC) in honor of its 175th Anniversary. Works by the composer are available through ANDEL Uitgave - Editions (Belgium), Musica Propria, Kagarice Brass Editions, Tuba Euphonium Press and directly from the composer.